Who doesn’t love a good pair of funky cycling socks? Whether you’re riding your bike to work or pedaling with the local club there’s never a wrong time to wear a colorful pair of socks. A wacky pair of cycling socks makes a statement to the world that you won’t settle for the status quo. Your socks are as lively and colorful as your wild spirit. Personally I love to sport funky socks while riding my bike. The more colorful, the better. 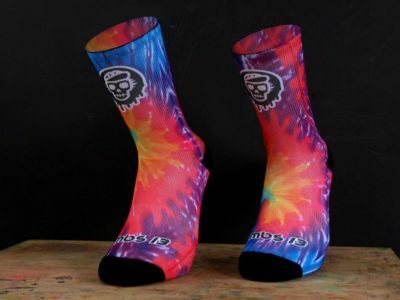 Here’s a collection of funky cycling socks to show others that you have fun when you ride your bike. Nothing says “funky” than tie-dye socks! These brightly colored socks are perfect for the hippy (or wannabe hippy) cyclist! 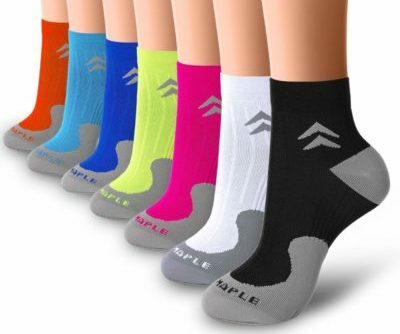 They’re made of a composition of nylon, lycra, cotton, and softair to last longer than other socks. 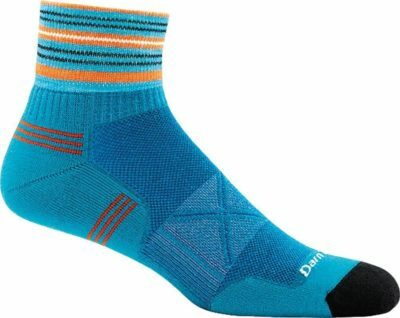 These are a solid pair of socks that you can put plenty of miles in while looking good. These socks are shipped and manufactured from Spain. Get funky wearing these socks. Buy them here! These socks have a great modern art look to them. They are tall socks that go up your calf. They’re also compression socks so they’ll help with blood circulation. They’re made of high elastic yarn, and as bonus, the company offers a 30 day money back guarantee if you’re unsatisfied with them. 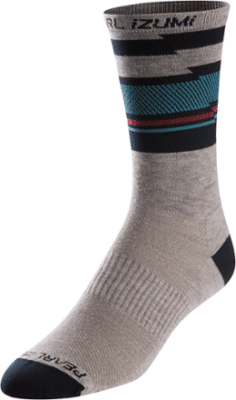 Cyclists love these socks, because they look great and feel good even after numerous rides. Buy on Amazon here. 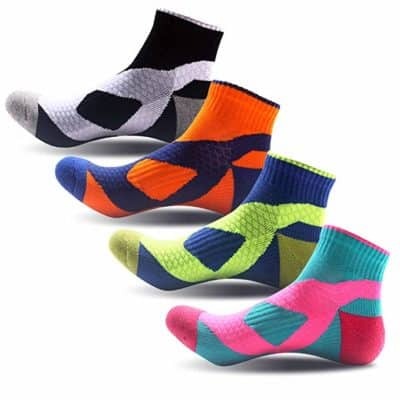 These colorful socks are able to absorb moisture and provide breathability to let your feet get air. These low cut socks are perfectly suited for the cyclist who wants to wear funky socks that only he/she know about. Purchase on Amazon here. A study was conducted to determine the effects of wearing a yellow bicycle jersey. The researchers wanted to test if cyclists wearing the yellow jacket were less likely to be in an accident with a motorist. The results? The test group had 55% fewer multiparty accidents against motorized vehicles. It makes sense. The bright yellow color is more visible to motorists. 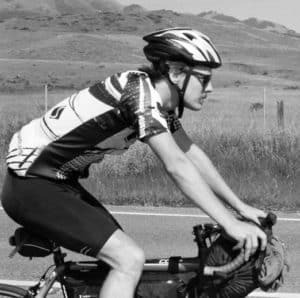 It’s one of the reasons many bike riders wear reflective clothing. If you want to stand out, why not wear some brightly colored socks too? 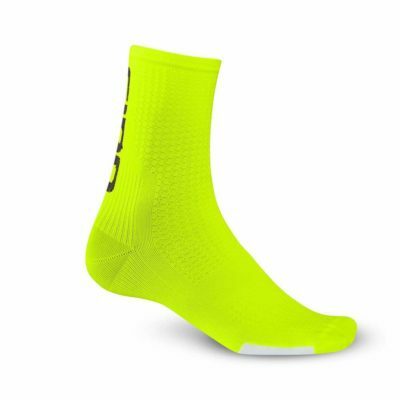 The Giro HRC socks are available in a variety of colors including bright blue, pink, yellow, and red. People will definitely notice these socks. They’re not a 100% guarantee that you won’t get in an accident, but they have to help drivers see you coming. Buy the Giro HRC Socks now! You’ve got to be tough to bike through the cold winter. It helps if you’re wearing the right clothes. Darn Tough Yeti socks are made for wearing in cold climates. They’re made of merino wool for breathability and comfort. They are tall enough that they’ll go right below the knee. The best part is they’ve got a yeti on them. If you suffer from toes that go numb while riding in the winter you ought to look into getting yourself a pair of these. 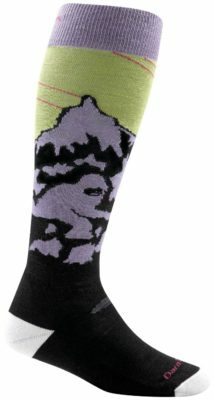 Buy the Yeti Biking Socks on Amazon. Searching for a tall sock with a fun pattern? 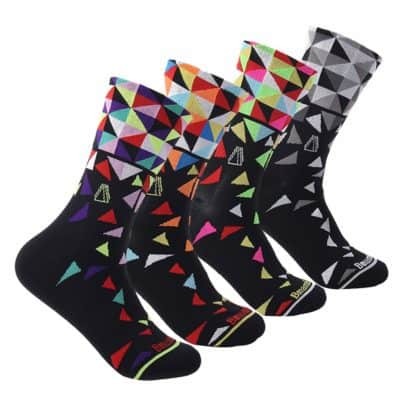 These Pearl Izumi socks could be the right choice for you! They’re made with a mesh ventilation over the top of the foot to allow your feet to breathe. You can see the mesh ventilation on the photo above. You can buy the Pearl Izumi socks at REI. These fun socks come in a pack of four pairs. You’ll get a variety of colors to match what style you’re going for. These socks are comfortable and stretchy. They will fit nice and snug on your feet. In addition, they are compression ankle socks. Your feet will feel better when you wear these ones. Buy on Amazon. These are truly the weirdest, funkiest socks out of the collection here. People will DEFINITELY notice if you wear these eye catchers. The socks are comfortable, weird, and breathable. They are made in Spain, and so be prepared to be patient on shipping. But they’re worth the wait! Buy these weird socks here. 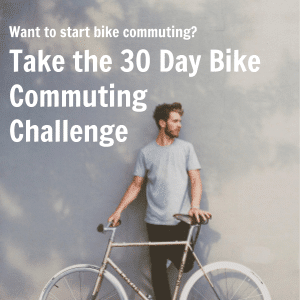 What socks should I wear for bike commuting? From time to time people ask what socks they should wear for bike commuting. My answer? Whatever socks you’re comfortable with! 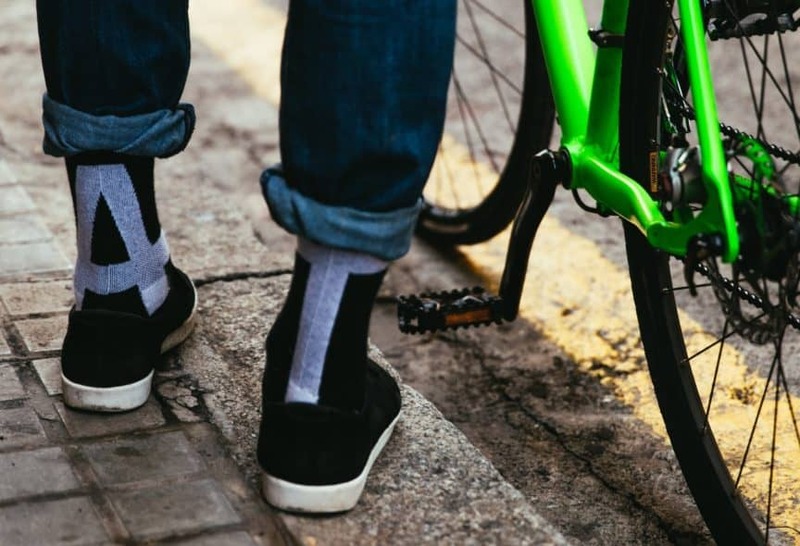 If you’re riding a longer ride you may want to think about bringing a fresh pair of socks for work so that you don’t have stinky or sweaty feet. I have personally done shorter bike commutes in a pair of regular white socks and been fine. I didn’t change them at work, because they were neither sweaty or smelly. 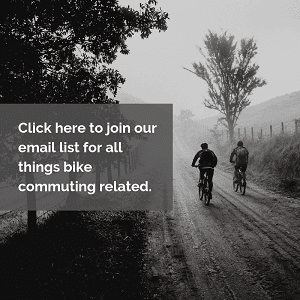 You don’t need any special bike commuting socks. Any of the socks listed above would be great socks to wear for a bike commute as long as you’re comfortable showcasing the colorful socks at work. Of course, you could always wear long pants to hide the funky socks from your employer.